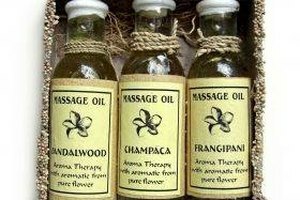 Taking time out for a massage is one of the most loving and luxurious experiences ever in life. (That is, unless you’re extremely ticklish or squeamish about being touched by a stranger, in which case, reiki, aromatherapy, or good old fashioned meditation might be more your thing.) The best therapists can leave you feeling like a blissful, fluffy marshmallow moving in slow motion. Aside from the obvious objectives, like relieving pain and relaxing the muscles, massage offers some surprising benefits that’ll make you wish it could be a daily indulgence. But here’s the secret: you actually can reap the benefits at home in between appointments. Read on to learn of the almighty powers of the massage. In the midst of a pounding headache or killer migraine, reaching for a bottle of ibuprofen seems like the quickest and easiest fix. But opting for a massage instead addresses the root of the problem: muscle tension in the neck, face, and jaw. “When we massage the neck muscles and the ligaments that attach to the base of neck, we create blood flow, greater range of motion, and elongate those short and tight muscle bands, helping to alleviate the headache or impending migraine,” say Post and Lim. They also blame an over scheduled lifestyle and eye strain and bad posture from driving and sitting at a computer for creating the tension in the first place. Try being more conscious of these habits and you might find your chronic headaches diminish. The Swedish massage, known for its long, gliding strokes, has shown positive effects on the immune system. A study out of Cedars-Sinai's Department of Psychiatry and Behavioral Neurosciences found that after receiving a 45-minute Swedish massage, subjects had an increase of lymphocytes, white blood cells that help defend the body from disease, as well as lower levels of cytokines, which are linked to inflammation. When your body is in relax mode after a session, better sleep is a byproduct of that. Several studies have shown that people report greater sleep hours, less sleep movements, and improvements in insomnia after receiving massage therapy. So if you find yourself tossing and turning at night, or zapped of energy during the day, a massage could be the trick to getting your sleep back on track. Whether you’re looking for some stress relief or an ultimate migraine cure, massage has you covered. As if you needed more reasons to rationalize treating yourself.